I recently met a sales rep (let’s call him Dario) who felt that his company’s rates were way too high. Every time he got an application he’d encounter some type of rate objection. He’d end up discounting the deal, or the lessee would go elsewhere. While we were talking, Dario went off on a complete rant about his job… “My sales manager offers no support. The pressure to meet my goals every month is terrible.” He resented the politics in his office, he felt the other reps were getting better leads, his territory sucked and he had zero training. It’s human nature to want to talk about disappointments. We need to share our hurts, and it’s nice to have someone compassionate and non- judgmental to vent to. However, Dario wasn’t just venting, he was wallowing. He had been unhappy with his employer for so long that he could only see the bad things about his job. We are happy with who we’re using. We let the customers pick their own finance company. All my customers pay cash. I have been in leasing companies across North America, and I have never, ever, been in the one with the absolute lowest rates. The really strange thing is that two sales people at the same company can have completely different experiences. One guy continually complains about rate, and yet the person that sits right next to him never gets price objections. Isn’t that fascinating? Can it be possible that reps bring the rate objection on themselves? If you think the rates are too high, does that somehow create the objection in your customer’s mind? Is the rep contributing to creating this problem? If you keep complaining about something (high rates, slow credit decisions)…you are going to get more of it. You are giving energy to what you don’t want. The way out of a problem is to think about what you want, and what Dario really wanted was more sales. I wanted to tell Dario that the rate issue has a lot to do with confidence. If he increased his self-confidence, he’d get fewer objections. One way to do this is to imagine a time and situation where you were very confident. Pull this memory up to support you when someone asks about your rates. Now when someone asks what my fees are, I pause for a couple seconds and I put myself mentally back in that conference room in St. Louis, I let that feeling of confidence wash over me, and then state my price. Inner confidence opens doors of opportunity. Fear is the opposite of confidence. When a rep is really fearful he’ll immediately drop his rate. I’ve seen salespeople so afraid of losing their jobs that they were willing to do almost anything to bring in business. They just wanted to get rid of that awful fearful feeling. Lack of confidence often leads bad decision-making. In addition to confidence, we also have to dissect the rate issue. A lot of reps dance around the rate issue like they are walking on eggshells. Some sales people completely panic when the word “rate” is mentioned. Is the customer asking what the rate is, or are they saying it’s too high? These are completely different scenarios. Are they getting an equipment finance agreement, or a lease agreement? What is the buyout option? If they state that the rate is too high, you have to ask them what they are comparing it to. Are they going to take out a loan against their line of credit? If so, plant the seed that it’s better to save that line of credit for an emergency, like a payroll issue, rather than using it for a piece of equipment that could be obsolete in three years. Being confident and prepared helps resolve rates objections, but what if you have a lessee who absolutely MUST negotiate? Try thinking of it as a game and enjoy the process. Ron stood firm. We stood firm. There were about eight awkward seconds. Finally Ron said, “I’m not goin’ to let this one thing get in the way of us doing business together”, and he ate the tax. Did he have to do that? Not necessarily. He could have offered some other type of concession. We wanted some type of trade-off; we almost make a sport out of getting the best deal. At least Ron wasn’t negative and resentful like Dario. If Dario were open to advice I’d have told him to stop wallowing and start looking for things to appreciate. I’d have him list the things he liked about his company, possibly the health benefits, the commute, or nice co-workers. He could change his focus to looking at his strengths and identifying the gifts and talents he brings to the table. Take action to acquire more knowledge; there are so many resources available for self-improvement. He could learn to become emotionally resilient and find a group of positive, encouraging people to provide feedback. To help a rep that’s feeling resentful, provide him a wave of assurance; let him know that he’s supported. Remove some of his fear with encouragement and help him rewrite his story. Give him goals that make him stretch just beyond his comfort zone and then celebrate small victories. Unfortunately, Dario wasn’t looking for new ideas, he just wanted to feel sorry for himself. He would not even listen to a simple suggestion. His self-centered focus on his pain was only causing him more pain. I hope he gets a boost of confidence and he changes the ending to his sad story. Confidence is the quality where inner calm and belief in your capabilities come together. Think about a time when you felt very confident and feel those feelings before giving a presentation or submitting a proposal. Confidence and credibility attract people to you. 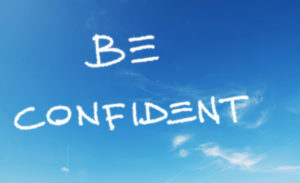 Confidence makes lessees feel like they are in capable hands. Prospects that believe they are in capable hands are more likely to chose you and become happy customers.